My heart, and prayers, remain with the; family members, friends, relatives, loved ones, etc. pertaining to Elvis Presley and his passing on August 16, 1977. I can’t imagine their burden nor their loss. It has taken me (approximately) six decades now to formulate this post which is based up (literally) thousands of books, audio files, documents, interviews, conversations, emails, first hand account, real documentaries, etc. I have always put a premium on eyewitnesses, factual sources, facts, and context. No sensationalism. No monetary endeavors. Just me passing along unique/cool/rare/ content as I do on these posts and on http://www.ElvisCollector.info (premier Elvis Presley website with exceptional content) and/or http://www.ElvisCollectorWorldwide.freeforums.org (100% free Elvis Presley forum and though it remains in the beta testing stage we invite you to join). To address the subject line of this post “Why God took Elvis Presley on August 16, 1977” we must look back to the day of his birth of January 8, 1935. Gladys Love (Smith) Presley and Vernon Elvis Presley knew they were having a baby. One baby. They had no idea if it was a boy or a girl they just prayed for a healthy child. They even picked out names if it was a boy or a girl. I know the name they chose if it was a girl but that is not my story to convey publicly. But, the boy was to be named Jessie Garon Presley. When Gladys went into labor a boy was delivered and it was perfectly formed except it (sadly) was not breathing. Gladys and Vernon were empty, lost, and consumed by their sorrow. As the doctor, who back then made house calls, was gathering his things to leave Gladys said “I think there is another one”. The doctor, against his better judgement, did an examination and confirmed. An identical twin to Jessie was born, healthy, and breathing, and though their tears reigned their hearts gave thanks to God but they had a dilemma and that was “what to name this baby”? After all the doctor needed a name to put on the certificate/paperwork. Within moments they settled on Elvis, which was Elvis’ fathers middle name, and Aaron which rhymed with “Garon” and paid homage to the biblical Aaron the older brother of Moses. On January 8, 1935 through the stench of death and loss Elvis Aaron Presley was born into the world void of wealth, monetary means, but loved as much as any mother…ever. Vernon, in his own ways, loved Elvis but the love and bond between Gladys and Elvis started in the womb and would last (sadly) until her last breath. RARE handwriting, with signature, of Elvis Presley. Photo courtesy of Mr. Jeffrey Schrembs. On our website, http://www.ElvisCollector.info, we have a page entitled “about us”. On this page we pay homage to those who were close to Elvis and have (sadly) passed away. Needless to say, our eternal thoughts and prayers go out to their loved ones, family, friends, etc. We hope to add more information about this, individually and collectively, exceptional people on our website as quality content (i.e. rare, unique, cool, exclusive, original articles by the Elvis Presley collector Jeff Schrembs). Please excuse the wierd font and spacing below. the friends, the family members, and the love ones concerning Todd Morgan (of EPE) who passed away at the age of 45 on March 1, 2008. I had the HONOR of befriending Todd dating back to his first few years at EPE during the 1980s. Todd was a WONDERFUL – HONEST – HARDWORKING – PROFESSIONAL. He was a TREMENDOUS asset to EPE and he will be missed…forever. Our heartfelt thanks, prayers, and thoughts (eternally) go out to your loved ones, friends, and family members as well. We will never forget the relationships you had with Elvis and we say “thank you” for any/all contributions you have made (i.e. verbally, in writing, in person, on the radio, on TV, in book form, on DVD, on CD, etc.) 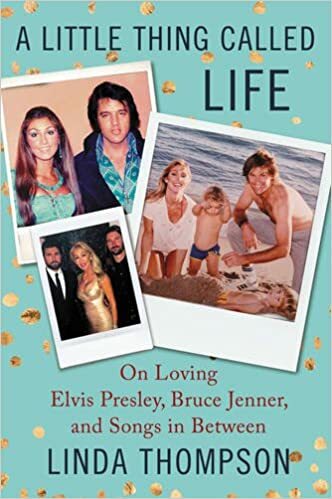 concerning the life (onstage and off) of Elvis Presley. “lighting manager” for Elvis’ Concerts and a source/recipient of Elvis’ humor. John Wilkinson John Wilkerson died, on January 11, 2013 at age 67, after battling cancer. John was a remarkably talented musician and played with Elvis for nine years and up to Elvis’ death in August of 1977. Al Wertheimer died on October 20, 2014. Mr. Wertheimer was a professional photographer who captured exceptional photographs of Elvis in 1956. In this photo he is holding his most famous Elvis photograph entitled “the kiss”. Millie Kirkham died on December 14, 2014. Millie, the angelic soprano, began recording with Elvis during the Blue Christmas session in 1957. Millie worked with Elvis in the 1960s on various movie soundtracks. When Elvis returned to live performing he reached out to Millie, who was a Nashville staple of excellence, to join him in Las Vegas. She accepted and her beautiful voice, and talents, were showcased during the 1970 documentary That’s The Way It Is. Joe Guercio died on January 6, 2015. Joe was not only the conductor of the orchestra during Elvis’ live appearances from 1970 until 1977 but also a trusted friend of Elvis. Alan E. Fortas died on September 23, 1992. Elvis and Alan became friends after Alan was introduced to Elvis at Graceland in Memphis in 1955. Alan worked with Elvis from 1956 through 1968. Alan was the only member of the Memphis Mafia to be captured on film for the 1968 Singer Special entitled Elvis. This special is known as the “comeback special” the “68 special”, etc. Alan left Elvis’ employ in 1968 due to the burdens of travel but he remained friends with Elvis throughout Elvis’ life. Joe Moscheo died on January 11, 2016 at the age of 79. Joe not only was a friend of Elvis’ since 1966 but was a part of the group “the Imperials” who sang backup to Elvis during Elvis’ initial concerts in Las Vegas from 1969 until 1972. He, and the Imperials, also were on many of Elvis’ recordings during these time periods. SCOTTY MOORE – he (sadly) died on June 28, 2016 at the age of 84 in his home in Nashville, Tennessee. Scotty Moore, in this 1955 promo photo is on Elvis’ RIGHT (picture circa 1955). Scotty Moore was an established professional musician with a hard work ethic and was a very good guitar player in high demand. Scotty Moore played with Elvis, and Scottys friend and bandmate Bill Back, from Elvis’ first professional recording session at Sun Records in Memphis Tennessee which was owned by Sam Phillips. The first jam session, with Elvis – Scotty – Bill, did not go well and after Elvis left (disappointed as he knew he could do way better) Sam asked Scotty “what do you think”? and Scotty responded with a “he has a good voice but he is raw but he knows a lot of songs of all kinds. Sam asked Scotty if he would be willing to get together with Elvis and Bill again in a few days. Sam knew that Scotty would not waste his time, as he had a job and a band and a wife, and Scotty said “yes”. It was at that second session where Elvis, with Scotty and Bill, changed music and culture…forever. Also, Scotty Moore was Elvis’ first official manager. and we miss them daily. reunited on the “other side” and what a glorious day that will be. We encourage everyone to reach out, support, give thanks to, thank their family members, etc. those who were close to Elvis onstage and off for they were firsthand witnesses and they are priceless assets to the Elvis Presley community. Thank you. http://www.ElvisCollectorWorldwide.freeforums.org (the premier Elvis Presley fan forum in beta testing phase). Like Alanna Nash I was born in Louisville Kentucky the birthplace of Muhammad Ali. During my childhood, and teenage years, Muhammad Ali was a divisive man due to his stance on not going into the US Military and his conversion to Islam. Worth noting is that Muhammad Ali admired Malcolm X who (sadly) was murdered by a faction of the Nation of Islam. This is not conjecture this is fact. Elvis Presley grew up bitterly poor. When I say bitterly poor I mean that Elvis was born into a family without monetary means. Both men were born in January. Elvis on January 8, 1935 and Ali on January 17, 1942. Elvis grew up in the throes of the great depression and WWII. Ali was three years old when the war ended. That the Presley family lived in a small two room home. There were times when they lived on the grace of others. Elvis’ mother could not read and write but she was a darling of a woman who loved her son unconditionally. Muhammad Ali was born to a working class family where his father wrote music, painted signs, played the piano and other works. Elvis admired Muhammad Ali for his 1960 Olympic performances where Ali represented the United States using his birth name, which he would later change, of Cassius Clay a unique name for a unique man. Elvis Presley, contrary to many “celebrities”, went into the US Army via draft from 1958 to 1960. Elvis was offered, by all branches of the US Military, the military career of going to difference bases and performing before the troops. Also, he was to use his name, likeness, singing, etc. to sell US war bonds. Elvis Presley chose to go into the US Army and be treated like every other enlisted man. This meant going to boot camp. Pulling KP. Being stationed in Germany in the freezing cold. Elvis was, at times, on military maneuvers when he crossed the Russian lines which could have resulted in his death as the breach of any “lines” could result in death or capture. The Russians had made comments about Elvis Presley and his worldwide fame including their belief that Elvis was a pawn for the United States. Elvis watched Muhammad Ali fight in the 1970s via “closed circuit” television. Closed circuit was similar to what we now call “pay per view” but you had to go to a specific venue to watch the fight and back in the 1970s, which I know firsthand, the size and quality of the TV picture was (wholly) lacking. Those who could not pay to see the fight relied on radio a medium that most Americans had access to. Muhammad Ali became a friend of Elvis Presley and had long admired his career and his personal life rising from poverty and at times state assistance. Ali once said of Elvis “Elvis Presley was the sweetest, most humble and nicest man you’d want to know’. ‘Elvis was my close personal friend. He came to my Deer Lake training camp about two years before he died. He told us he didn’t want nobody to bother us. He wanted peace and quiet and I gave him a cabin in my camp and nobody even knew it. When the cameras started watching me train, he was up on the hill sleeping in the cabin. Elvis had a robe made for me. I don’t admire nobody, but Elvis Presley was the sweetest, most humble and nicest man you’d want to know’. On February 14, 1973 on the eve of the Ali – Joe Bugner fight Elvis presented Ali with a custom full length sequined robe with the words on the back saying “the peoples choice”. The estimated cost of this robe was $3,000.00. Ali cherished the robe. When Elvis Presley died on August 17, 1977 Muhammad Ali was very sad about losing his friend. Ali reached out to Priscilla and Vernon to convey his condolences. When Graceland, Elvis’ home in Memphis Tennessee, opened up to the public Muhammad Ali visited and laid flowers on Elvis grave. Ali was moved to tears as he was escorted by Jack Soden the President of EPE/Graceland. These two men knew success on a level unknown to the vast majority. This does not make them better or worse it just shows how, if one applied their god given gifts with passion – commitment – and hard work, that success will follow. And if someone is doing a job they enjoy it makes a daily positive impact on the soul. Elvis Presley and Muhammad Ali, who died yesterday on June 3, 2016, will always be considered “the greatest” in their chosen profession. They achieved unparalleled success and worldwide fame. They had fans around the world and millions of people. through generations to come, will learn of their stories and revel in the body of works they left behind. My prayers go out to the Ali family and those who knew Ali and loved him. The world lost a good man who had a great love for children including, private and public, charitable acts that benefited many. Jeff Schrembs has been a fan, and collector, of Elvis Presley for (6) six decades. Mr. Schrembs has numerous blogs, and his premier website of http://www.ElvisCollector.info and the (100% free with no ads, no pop-ups) Elvis Presley forum http://www.ElvisCollectorWorldwide.freeforums.org, where he shares his collection, insights, firsthand accounts, photographs, videos, original articles, etc. Mr. Schrembs’s website has received numerous awards and has a ever growing following. Mr. Schrembs is an Elvis Presley expert, collector, historian and author. Mr. Schrembs has undertaken, for 4 decades, the massive commitment to the preservation of rare Elvis Presley photographs, audio files, documents, autographs, handwriting, etc.